Try this Fajita Omelet for a nice switch to your omelet repertoire. Full of veggies and topped with avocado, it’s a great start to the day. I’ve been trying out an eating regiment that involves a good dose of protein and lots of vegetables at each meal. While skillet eggs are certainly one of my favorites, I don’t want to have them so often that I get sick of them. Consequently, I’ve been trying other combinations of eggs and vegetables. One morning I made a scramble with broccoli, mushrooms, peppers, and onions. Good. Another day, I made this fajita omelet. Definite win. This recipe works for one person, quite generously. Just repeat the steps for as many people as you’re serving. 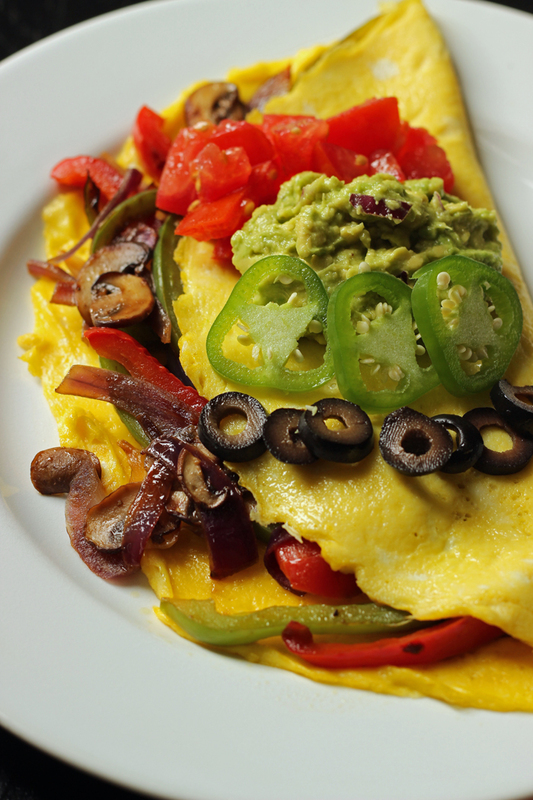 Omelets are tricky for a crowd. When I prepare omelets for the whole family, I warm the oven and stash plates of omelets in there until they’re all done. Have the filling already to go and kept warm on the back burner for easy serving. This recipe is dairy free, unless you use the optional toppings listed in the recipe. Do a price comparison. I know that Costco is the best place to buy ingredients in bulk, like eggs when there isn’t a great sale elsewhere. I keep track of prices so that I know who has the best deal where. Heat pan to medium high. Pour eggs into the pan and cook until done, tilting the pan and pushing cooked portion toward middle, letting uncooked eggs run to edge. I like to flip them or cover the pan to ensure total doneness. (I don’t like “wet’ omelets. Originally posted February 17, 2013. Updated May 14, 2017. Strawberries and cream cheese – don’t knock it until you try it. It’s very, very popular at The Bayside Skillet in Ocean City, MD. Top with more strawberries and some powdered sugar. @Mari, It sounds sort of like a really thick crepe. Those frequently have fillings like this. Now I wanna try it! 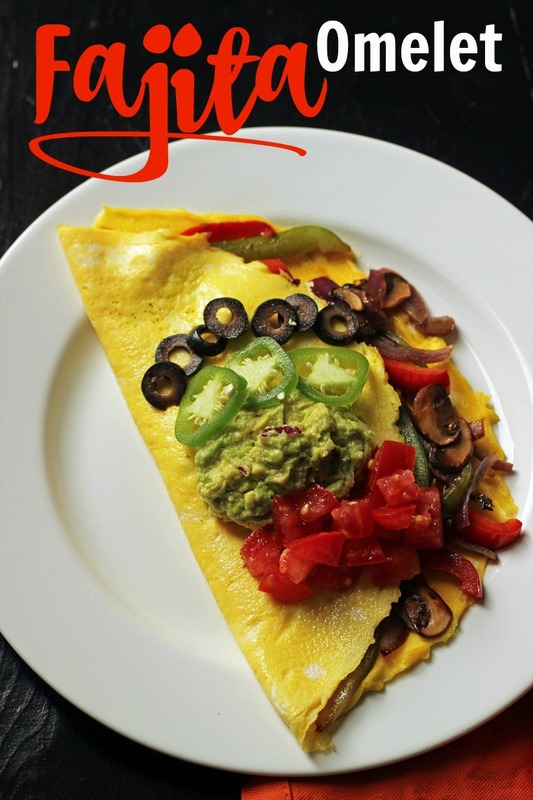 Omelets are one of my favorite fast dinners. My favorite toppings are sauteed bell peppers, mushrooms, diced tomatoes, and sour cream. Yum! I use whatever I have: onions, peppers, mushrooms, cheese, spinach, bacon, ham, etc. I generally try to keep the combos logical, but anything I have that needs to be used up or sounds good at the moment is fair game.